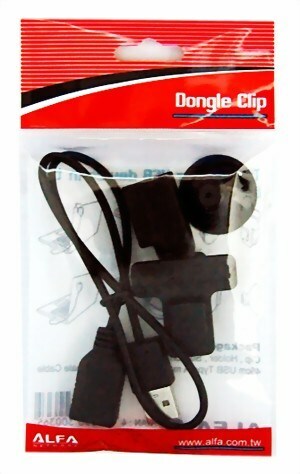 The dongle clip holder consists of a support for USB ports to which either a suction cup or clip can be plugged. Thus you can mout the adapter almost anywhere and bring in a good position to send and receive. A USB extension cable (46cm) is also included.